Tottenham goalkeeper Hugo Lloris is receiving his fair share of criticism tonight after a poor performance in the defeat to Chelsea. Spurs take on Arsenal in the North London Derby next and don’t look in the best shape after back-to-back Premier League defeats. Lloris no longer seems the reliable shot-stopper he once was, and many Tottenham supporters are now calling for the Frenchman to be axed for the game against Arsenal. 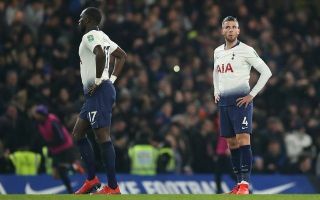 It remains to be seen if manager Mauricio Pochettino would be brave enough to make such a big call in such a big game, but many of these fans on Twitter seem convinced he’s now finished at the highest level. Lloris is finished. Shouldn’t be France’s or Tottenham’s starting goalkeeper anymore. Lose against the Gooners and we are in serious, serious trouble of not getting top 4. Poch needs to show some balls and drop Lloris.